2-hAndi Muff - bbPie Electonics, Inc. The 2-hAndi Muff is the ultimate hand muff and must for your hands in cold weather The hand muff includes a heat chamber for utilization of warmers such as the reuseable heat source included. The muff is surrounded with heat reflective materal to keep the heat in the muff. 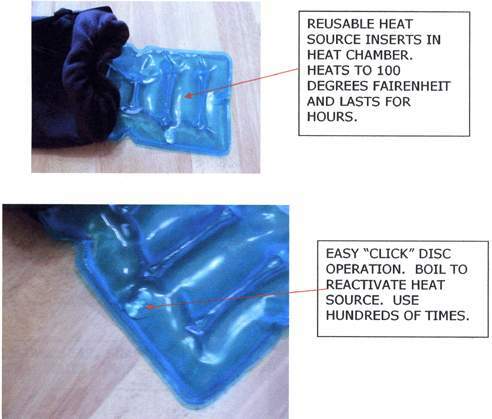 Heat source operation: Click the metal disc inside the gel. The gel will become warm and last for hours. Upon completion of the heat cycle, wrap in towel, place in boiling water until returns back to gel slate (approx. 4 mins.) It is now ready to heat again. Use hundreds of times. Gel is non toxic or harmful. 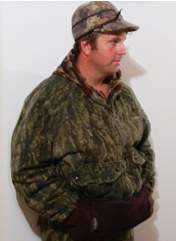 Great for hunting, fishing, outdoor sporting events, and anytime you want to keep your hands warm when the weather isn't. You'll see why we call it the 2-hAndi Muff!